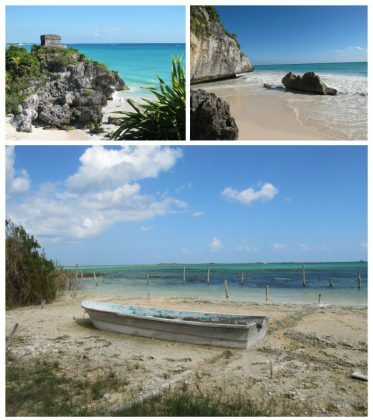 Further near the Riviera Maya, we marvel at the city of Tulum and its unique position, facing the sea. We love to wander among the different restored temples. But do not forget your swimsuit as it is probably the only archaeological site in the world that has its own beach. After a scholarly visit to understand how this pre-Columbian civilization dominated the continent in the Middle Ages, we go down the ruins of Tulum to swim in the blue water with a view of the temples. Unique! The city of Coba, very close, is much bigger, its pyramid that we climb to enjoy a breathtaking view of the forest over the ruins, is impressive. And don’t forget your swimsuit for a boat ride in the lagoons of the biological reserve of Sian Ka’an surrounding the site. When the boat stops we jump into the water for a small aquatic trail where we let yourself drift in a canal between the mangrove, absolutely magic!